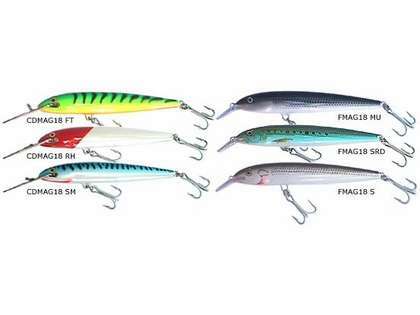 Rapala Magnums are the world's number one saltwater hardbodied lure. Whether fishing the shallow running floating models or the sinking CountDown models, you can be sure the lure has been hand-tuned and tank tested. 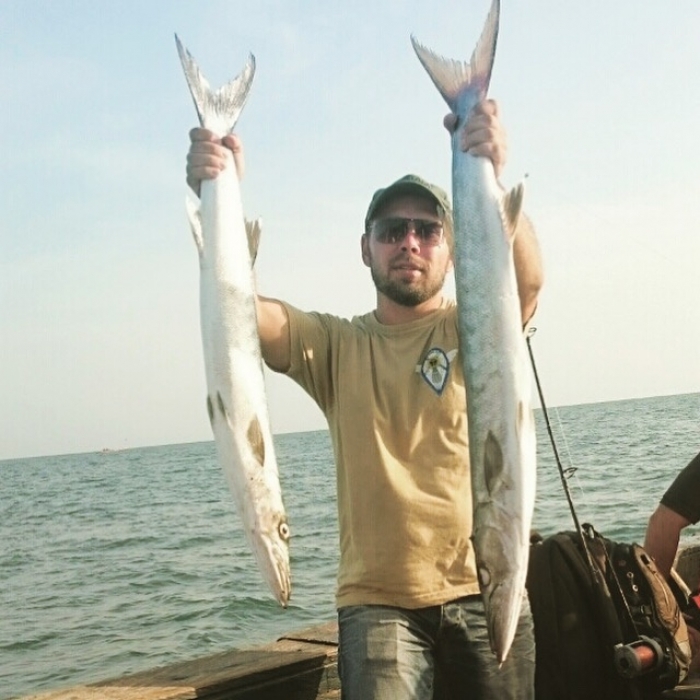 Magnums not only catch virtually every saltwater gamefish, they are deadly on freshwater species such as northern pike, striped bass and muskie. Dorado ones are great looking. Rapals is time tested and works. Runs deep and tought enough. Works in almost all speed. I think they are designed primarily for trolling but I use them casting along sod banks for stripers and bluefish. I think the flash from the metal lip and heavy vibration makes them effective. Not a good casting lure as it tumbles especially into the wind. Leader sometimes catches the front hook. But they catch fish. Helps to stop the lure just before it hits the water. My favorite bait for fishing sod banks with sharp dropoff to 10-20 feet. ProsCatch fish. Good in greater than 10 feet deep. ConsTend to tumble when cast. These metal lipped rapalas are the original and still work awesome on anythings from kingfish and wahoo to blackfin tuna and dolphin. i used this big plug for about 3 months and already caught 7 goliath grouper and many amberjacks trolling these on planers around wrecks. This lure is awesome from catching anywhere from small bass to big bass. Also you can do well on it trolling. I have a couple of these bought from this website and they have never let me down! Great lure for fishing 15'+ in the water column. Great for trolling big game fish. I love the assortment of colors to match the hatch. ProsVariety or colors and quality materials. FMAG18 & CDMAG18 are classic trollig lures, a must-have when you are trolling for big northern pike. cast or troll it... and it works. 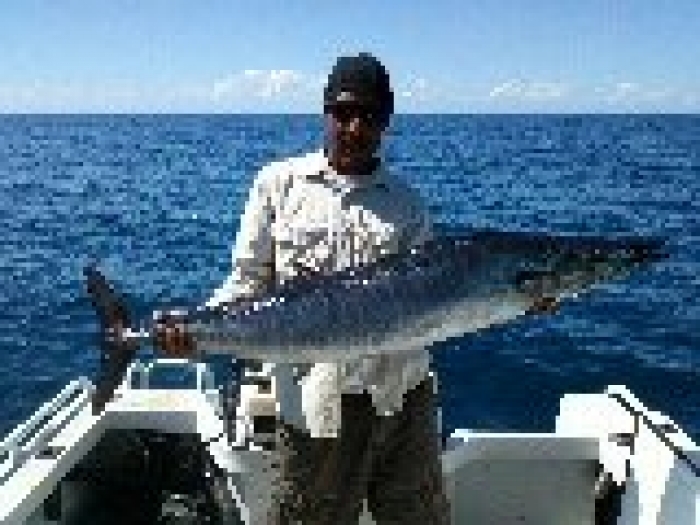 We throw to surface feeding fish and troll them in the spread, great way to catch a variety of fish. Best lunker pike bait there is! This is one of the best lures I know. Use it all the time when targeting large northern pikes in Sweden as well as when targeting saltwater species! There is no other lure that has caught me as many 20 pound+ pikes as this one! ProsIt's BIG but still able to fish a variaty of depths. Strike triggering movement. ConsMight be a bit to big for some waters. I have this lure in the Fire Tiger color/pattern. Purchased to use it in Musky water rather than saltwater. My own lure has a nice floating/diving action which has worked great around submerged timber. The hooks that are installed as shipped are too hard to easily cut, so I changed mine out to a larger freshwater version. The slightly heavier hooks have helped me achieve a neutral buoyancy. When the lure stops, and before the rise is when I've been bit. Physically smaller than a lot of Musky baits on the market, (but still a big bait) this has been a good alternative for me. Nice price as well! ConsI don't think they make em any more? 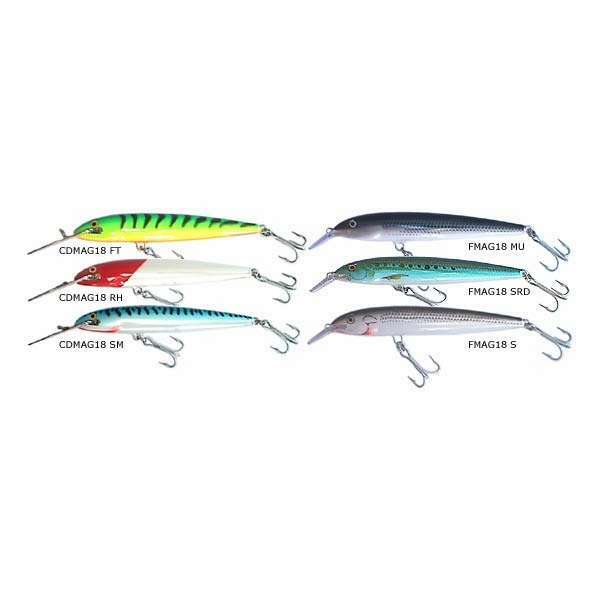 We do not have the FMAG14 nor is it available from Rapala. We do have, and can get more of the FMAG18.